Technician, Victor, called ahead to give an eta and arrived within that time frame. He listened carefully to my concerns regarding the door. After a thorough inspection he made recommendations. When action plan was decided, he went about completing the job with care and efficiency. Job Done Concerns resolved. Thank you Precision Garage Door. Alex Filipovic did a great job in replacing my garage door springs and bearings, this service was quick and he was very proffesional with great advice. I will definitely recommend this company service to friends and family. Neil V was excellent Called today for repair and door completed in less than four hours from appointment call. Door working better than new. 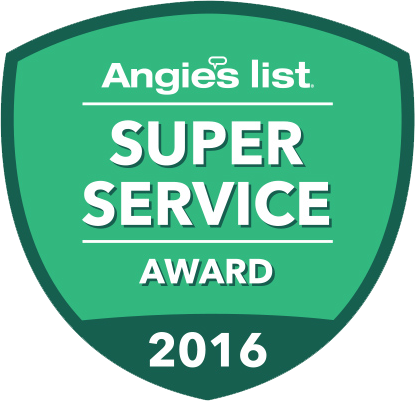 Good quick service, knowledgeable, professional and polite technician! Fast, experienced and gave the estimate up front. Came out on a Saturday morning! Neil was so pleasant and easy to work with. Highly recommend. Very pleased. Thought I would not have an operating door for 3 or 4 days. I called today for service today. Great tech showed up. We had great service today!! Thanks!! Technician Russ is a great man! He arranged to work with a last minute schedule change and when he did arrive to work on the garage door he diagnosed the problem ASAP and explained fully the solution. He worked quickly, cleanly and took care of everything perfectly. Highly recommended. Russ & Neal were great! They figured out what was wrong and made it right. I spent more than I thought I would have to, but getting the job done is worth the extra cost at the end of the day. I would absolutely recommend Precision for service assistance. They are pleasant, professional and know their stuff. So relieved I can go in and out of my garage without anymore hassle thanks to them. The $29 'service fee' does NOT include any service and should be correctly stated as a 'show up' fee. I was overcharged for a very minor correction which I performed myself! Shawn did a great job of explaining what was needed to my satisfaction. He was focused on completing the job and I was very satisfied with the results. I called and the next day they were there, on time with a new opener in the truck. No mess anywhere, polite and efficient. I would recommend Precision to anyone. The technician, Russ, was very professional, timely and efficient. What I liked most is he gave me my options and told me ahead of time what may be required in simple language, which was exactly what I expected being a property manager for a few decades. He gave me enough information so that I could determine the cost and quality that fit the current needs of my owner. I wrote an excellent review for Russ, but the categories did not fit the service. I do not want to type my review all over again. I hope can find it because I though Russ was an excellent tech. 5 Stars for sure! Daniel was early for the appointment and very organized. He provided trouble shooting and effected the repairs efficiently and competently! Great service! Tech called ahead to alert us to his eta. He arrived at time promised and went right to work evaluating the door performance. He gave us an estimate for the cost of maintenance and / or repair. He was very efficient and courteous. We appreciate the work. 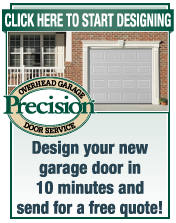 Precision Door Service Technicians are always prompt, courteous and quick in the assessment of any garage problem. They also take time in answering questions or re-explaining how to correctly use the "Lock" device on the side garage door. I apologize for the delay in responding, but I just found the card I misplaced with Mike Bernhardt's name on it. The service Mike provided was great. He is a wonderful emissary and great representative for your company. Because of him, I will always refer PDS to anyone who wants great service and quality for a garage door. Please let everyone know, who needs to know, what a great technician Mike Bernhardt is and what a superb employee and representative he is for PDR. Like the fact the if I called between 6 and 8, I would get a service appointment within 4 hours or your service charge would be free. Got an appointment between 8 and 10. Service person arrived at 9 and began to work. I needed new springs and new rollers. First service on door and we have been in the house for 14 years. Performed balance test on the door to make sure everything was properly balanced and working. I felt very comfortable with the person sent to do the repairs. Like his attitude and professional approach. Told me ways to maintain the garage door that I didn't know and didn't perform annually which I appreciated. 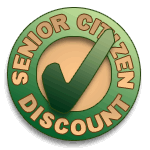 I chose Precision Door Service Repair because we had been very happy before with the service. They were prompt in coming on time. The Technician was very courteous and took his time in performing the service and answering our questions. Our technician was Russell. Vic was our tech. although you don"t have him listed as an option. He was knowledgeable, professional, and very personable. He was running late but did call to let us know which was a nice courtesy. The parts seemed a little pricey but what isn't in California. Hopefully I'm paying for quality. Time will tell. Overall I would call Precision again if I have any garage door repairs needed.